How lahori and karachites are arguing and a islamabadi burger is trying to cool down the situation. 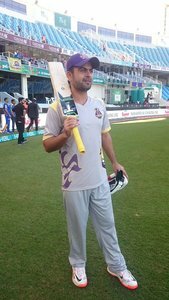 #QuettaGladiators NE TOSS JEET KAR PEHLAY FIELDING KARNE KA FAISALA KIYA HAI. 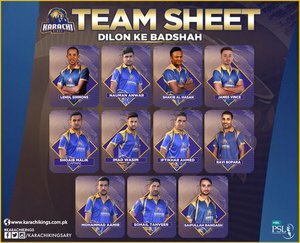 Best of luck @TeamQuetta for your match against @KarachiKingsARY ???? Just do your best boys???? It will be a neck to neck match, as both teams are well balanced. Now it's Pietersen against Amir. #PSLT20 has us swinging to and fro. Kevin Pietersen said few days ago: Mohammad Amir shouldn't be allowed a return to cricket. Utmost respect @JAfridi10 , for helping catalyse the reviving spirits of the APS students in Dubai for the #PSLT20 witness. Together we will. If Laxhman , Dravid and Sachin can play T20?Then why not #YonusKhan #WorldT20 Winning Captain. I want to see some massive total for the 1st inning by #KarachiKings . Wish it would be a big scoring match !!! #QuettaGladiators won the toss and elected to bowl 1st...! Pitch Reprt 150 looks like a good totl on ths pitch!